Go to any major city and you will see that the teachers as well as the state and school leadership are mostly White. Not that that is inherently wrong or some sort of a conspiracy, but it is a major problem for students of all colors. And, one we need to seriously talk about. Believe it or not, there is a color to learning. I have been on the train in the morning with my students. I have been in their neighborhoods. Hell, I have lived in their neighborhoods. I have seen what they see: the absence of LIFE MODELS. They almost never see a professional who looks like them in their neighborhoods. So, when they go to school, they need to see teachers and administrators who have their hair, their eyes, their noses and who share a common history/culture. Strong teachers and admins of color send a message of empowerment, which in the long run is more important than the ABC’s of teaching and learning or running a school. 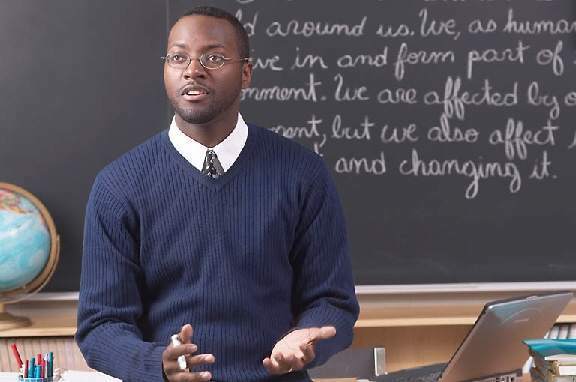 You see professionals of color teach students to love themselves, to know that they come from a people who are more than side-notes, side-kicks, and stereotypes. They instill in their students a sense of pride and confidence, empowering them to take ownership over the course of their own lives. Now that may seem irrelevant or something out of a James Brown song. But when you come from the communities those students come from in which the only people they see get out of the neighborhood are rappers or ballplayers, being in an environment where you are nourished and your sense of self is nurtured and your intellect cultivated is life-changing. There aren’t any words for what that means to your future success. Addressing race, racial relationships, and the soft bigotry of “colorblindness” will help bring about such change. It is important that we have this discussion. We debate the many other ills facing public education, but there is no denying the power of race and why race has to be an integral part of education reform. We will never be until we know what we can become. I am because I had teachers who looked like me. This article is completely racist. What if someone suggested that white children are better off being taught by white teachers? Skin color is a trait, and should have no bearing on identity. We should look at each other as people instead of as black people, white people, brown people, etc.